Rome is a vibrant city! 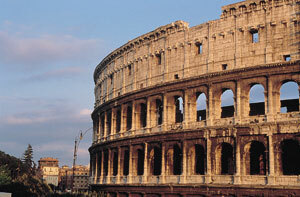 Check this list of importan t roman events, and enjoy your stay in this wonderful city! Here you'll find information on cultural events in Rome: art, performances, and music that would appeal to tourists visiting Rome. And if you're visiting Rome in summer, you'll find some useful information on our page about Estate Romana (Summer in Rome). Operas and Classical Concerts performed in special scenary like Churches, Auditorium or Theatres. You can book the tickets directly with us! Take a look to our section dedicated to Opera and Classical Concerts in Rome. Need to contact organizers for dates and place annually: Circolo Mario Mieli di Cultura Omosessuale, or go to bars such as the Hangar (Via in Selci, 69) or, for lesbians, try Panico (Via di Panico, 13). You can also try the most famous gay club in Rome, Alibi, at Via di Monte Testaccio, 44. Genzano, Castelli Romani, south of Rome. Streets are carpeted with flowers. Piazza di Porta San Giovanni. Celebrated with meals of snails in tomato sauce, suckling pig, a fair, and fireworks display. In many churches. Celebrations mark the feast of St. Peter. along the Tiber. Arts and crafts, food and wine, music and fireworks. The streets of Trastevere. Feating, processions and entertainment. Baths of Caracalla, Villa Ada, Ostia Antica, by the Tiber, in parks. Opera, concerts, drama, and film. Santa Maria Maggiore. Legendary 4th century fall of snow re-enacted with showers of white flower petals. Santa Maria in Trastevere. Midsummer Roman holiday. Almost everything closes down. Celebrations are held for the Feast of the Assumption. Harvest festival with grapes selling at bargain prices and lots of folksy street entertainment. Via dell'Orso, near Piazza Navona. Santa Cecilia in Trastevere and Catacombs of San Callisto. Firemen climb up a ladder to place a wreath on the statue of the Virgin Mary. Column in front of McDonald's.